Sharp is the real master of vanishing bezels, unfortunately the best models always seem to stay Japan-only. So, are you ready to see the best compact phones you'll probably never be able to buy? By the way, the duo is headed to NTT DoCoMo. 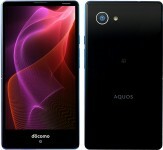 A phone with a 4.7" screen – 1080p at that! – measures only 126 x 66 x 9mm. For comparison, Xperia Z5 Compact's 4.6" 720p screen fits inside 127 x 65 x 8.9mm. The screen is an IGZO LCD driven at "double-speed", 120Hz. 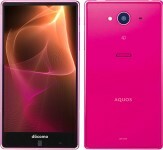 The Sharp Aquos Compact has water resistance, IP68 for dunks in water. It has a 13.1MP main camera (the Sony does have the lead here) with an f/1.9 aperture. The selfie cam is a 5MP shooter. 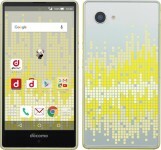 The phone is powered by a Snapdragon 808 chipset with 3GB of RAM and it has 16GB of expandable storage. It's running Android 5.1 Lollipop. There's also a 2,810mAh battery, LTE and Wi-Fi a/b/g/n/ac connectivity too. 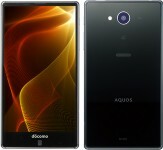 The Aquos Compact is fairly light at 120g and features "Nuance sheets," basically various decals you stick to the back. 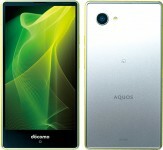 Bigger, but still small, the Aquos Zeta boasts a 5.3" screen inside a 139 x 74 x 8mm body. For comparison, a 5.1" Galaxy S6 is 143.4 x 70.5 x 6.8mm. The screen is a 1080p IGZO unit again. The rest of the hardware is almost identical too – IP58 water resistance, 13MP camera, Snapdragon 808 chipset with 3GB of RAM, 32GB of storage this time and a 3,100mAh battery. The camera on the back has a "proximity sensor," which may be a Google mistranslation of a laser autofocus system. 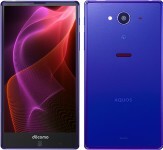 Both phones support a mobile payment system (FeliCa), but the Sharp Aquos Zeta has an additional fingerprint sensor (the swipe, it's placed on the back). This one is available in a Disney theme too as the DM-01H, coming in Sparkle Pink and Sparkle Blue. Now that's a REAL phone! Sony and Aquos are the only interesting manufacturers left. Everyone else thinks bigger is better, which is completely untrue.